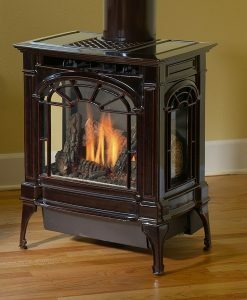 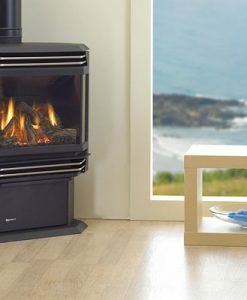 The new Jøtul GF 300 DV IPI Allagash combines modern classic cast iron design with state of the art combustion technology. 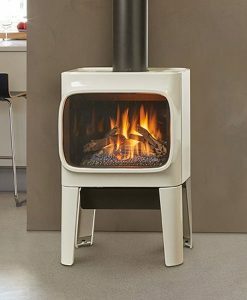 Fueled by the new pan style JøtulBurner™ and the cost-saving IPI Proflame II ignition system, the Jøtul GF 300 DV IPI Allagash presents the perfect union of high efficiency and timeless design. 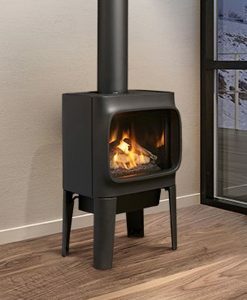 With a new 6-piece hand crafted log set and enhanced fireview, the Jøtul GF 300 DV IPI Allagash will continue to be one of Jøtul’s best-selling gas stoves. 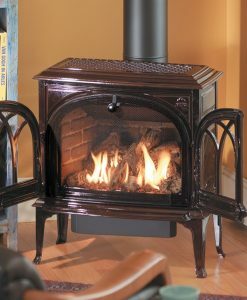 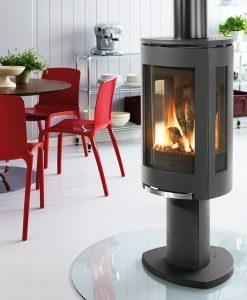 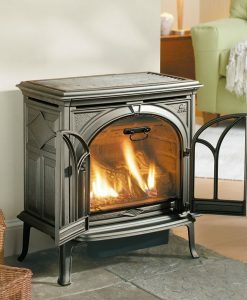 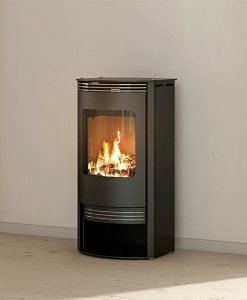 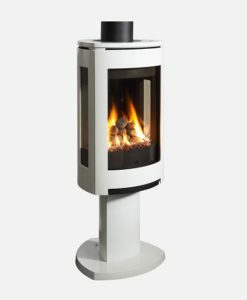 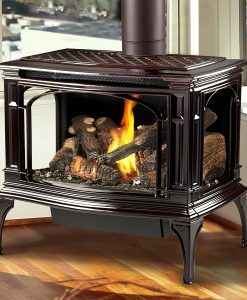 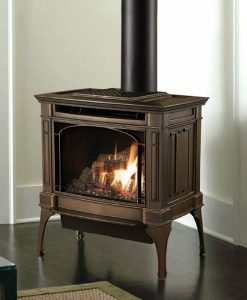 Category: Gas Stoves Brands: Jotul. 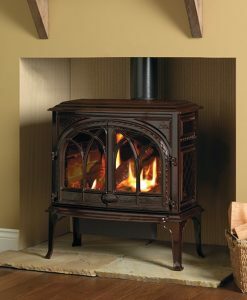 Options include: multifunction Proflame II remote with flame modulation control, wall thermostat, top firing accent light kit (remote controlled with 6-level illumination), fire screen, blower kit (120 CFM)(remote controlled with 6 speed levels), reversible brick liner (Antique Red & Brownstone), available in 5 colors (Majolica Green enamel, Majolica Brown enamel, Ivory enamel, Blue Black enamel or Classic Matte Black Paint).